Polka Dot Overload | Sewing, knitting & vintage projects, tips, tutorials and cartoons! 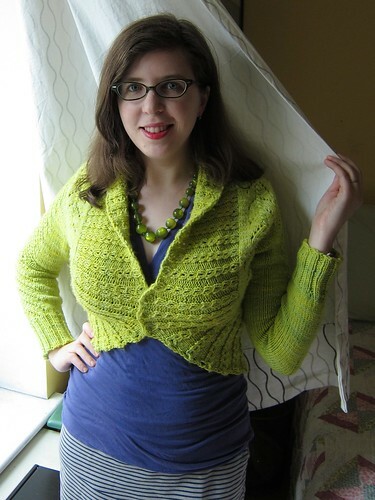 : Sweater Girl Success: Finished Chartreuse Georgina Cardigan! 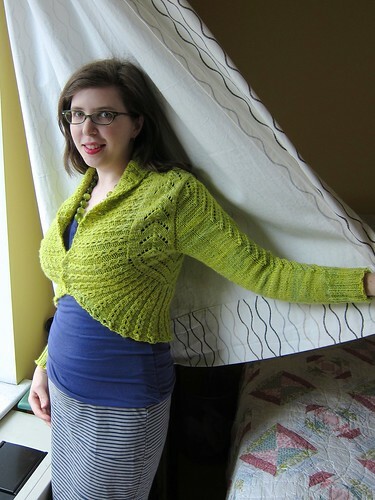 Sweater Girl Success: Finished Chartreuse Georgina Cardigan! 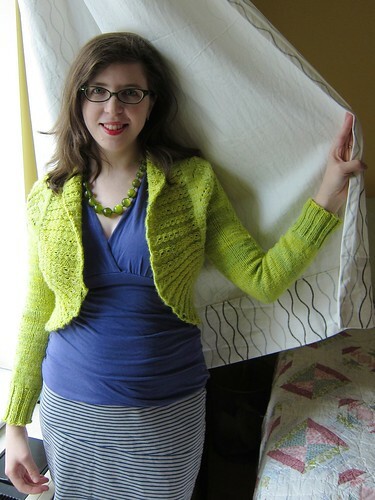 My spring green Georgina cabled & lace cardigan is finally done, just in time for spring! My original sketch, from... um... a year ago. 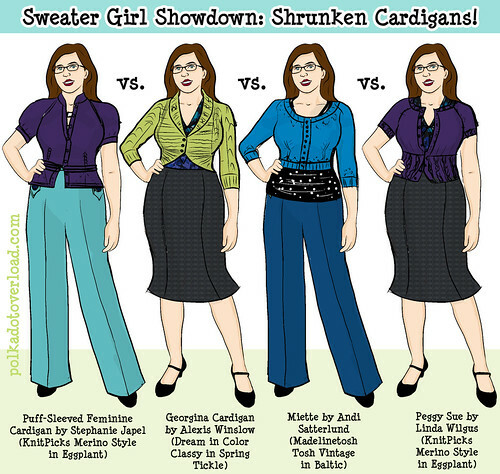 See my "sweater girl showdown" post for more on each of these patterns. My goal was to make a very fitted, curve-hugging little lacy cardigan with a bit of negative ease—nothing baggy or shapeless like my last cardigan disaster! 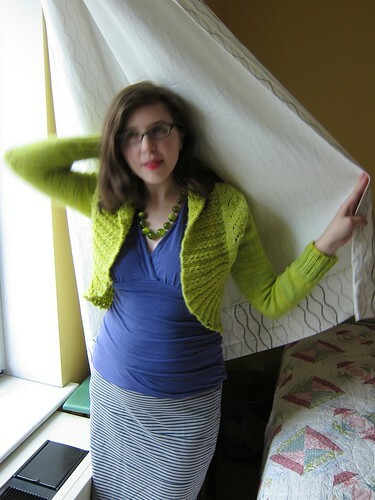 The pattern: Georgina Cardigan by Alexis Winslow aka Knit Darling. This pattern is beautifully designed and was a dream to knit: lots of easy-to-memorize but fun and different types of lace and cables and shaping to keep my interest, all knit together or picked up (no after-the-fact seaming). However it was NOT an easy knit (I consider myself relatively advanced and I still made a few mistakes and had to pay very close attention), and I wouldn't recommend it as a first-ever sweater pattern, unless you REALLY like a challenge. I made the smallest size, which was 2-3 inches smaller than my actual full bust measurement—just right to create a fitted look! The yarn: Swans Island Hand-Dyed Merino Organic Worsted in Spring Green (3.5 skeins). Soft as a cloud, with just enough hand-dyed variegation for interest, but not enough to compete with the beautiful lace or eyelet cables. Swans Island is a super-cool little eco-friendly yarn and blanket company based in Maine, and they have excellent customer service: when I realized I was short a skein for my last sleeve, they immediately offered to call around to all their retail shops to help me locate one in the right dye lot (Purl Soho had one left—phew!). The full Ravelry project details. Yes, it took me a year to finish, but whatever. The designer notes it only took her a week and a half—but I knit like a knitting snail (I have to to preserve my wrists from carpal tunnel redux). I finished the sweater while lying in bed recovering from my surgery—all it needed were some ends woven in and the buttons, and... DONE! (No, I haven't blocked it. It fits so well I'm afraid to mess with that. I will at some point). It was the only bright spot in a really rough painful post-surgery week — I'm getting a lot better, but still have some really bad days — and I got lots of compliments on it at work Monday. 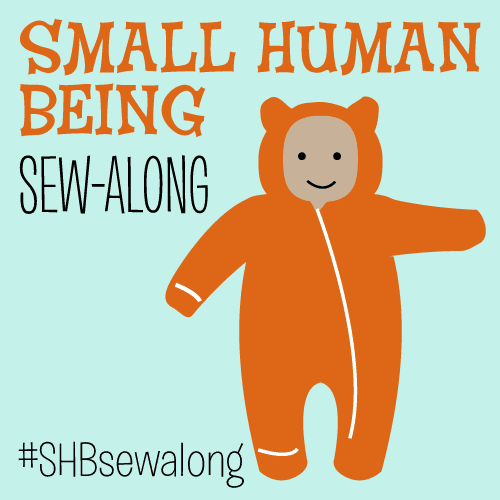 What's your latest happy make? Love this cardigan - the colour and shape are just lovely. Well done. Hope you are recovering well from your surgery. Hope you will be back to normal very soon! This sweater is beautiful and I love the color of that yarn. So what's my latest happy make? I just participated in a 40s themed sew-along (Sew for Victory hosted by luckylucille), and the dress I made brought a big smile to my face. So glad your sweater has brought a little sunshine during a tough week. It is beautiful! Amazing workmanship. Cute! What a gorgeous color! It's so great to see this cardigan finished! It turend out beautiful. The color is so bright, perfect for spring! Actually I think the pictures with the curtain have come out great! Lovely cardigan. Such a good colour on you too. I hope your recovery continues swiftly! Great job! I love how it turned out. Hope you're feeling better! It's beautiful! The shape is so flattering and the color looks REALLY good on you - just brightens your face right up (even though I don't necessarily think your face needs help :)). 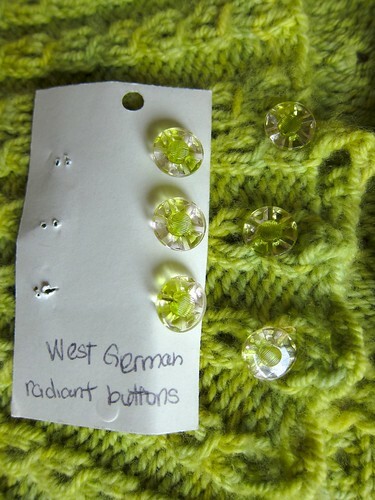 Pretty buttons, too :) Best of luck with your recovery! Looooove! I agree with Lauren--that oclor makes you glow. Wow, it is gorgeous! And you look gorgeous in it! It looks so perfect on you, and those buttons are truly fantastic. I hope you are feeling better and better! Gorgeous gorgeous gorgeous! It looks so complex and luxurious. (Was going to tell you last weekend... sigh).